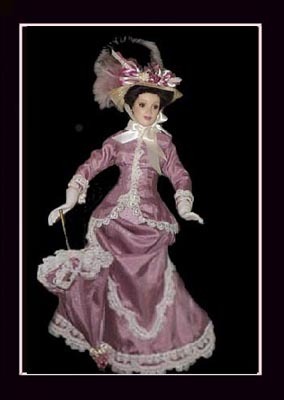 Original Dolls recreating Louisiana Life in the 1800's. 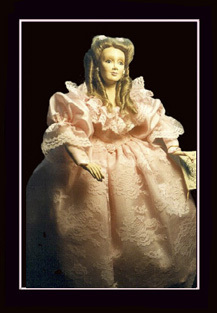 Learn about Louisiana Culture through this American Heritage Doll collection inspired by sketches, photographs and stories of the 1800's. 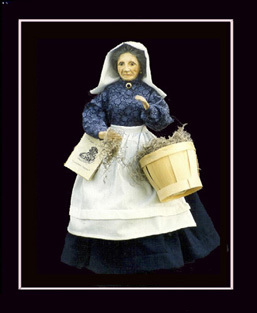 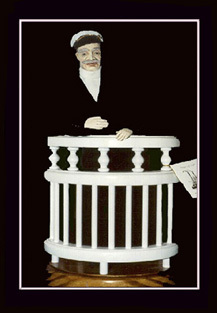 These lifelike handmade dolls have attached booklets and display cards with short historical essays about the character. 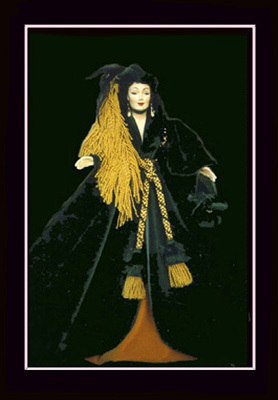 All dolls are reproduced in clay using JoAnn Bernard's plaster molds developed from her original doll designs. 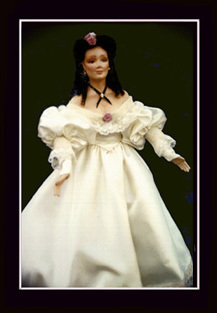 Doll wigs, clothing, dress designs, and props are all handmade by the artist. 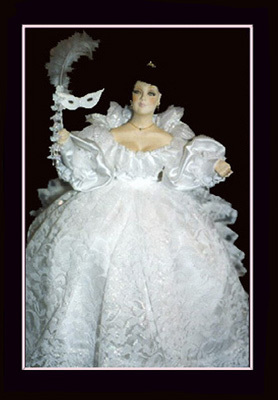 Navigational tips: Click on pictures to view close ups. 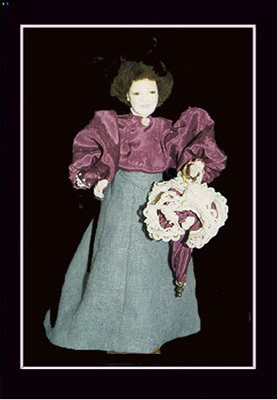 From the enlarged photo page click on booklet to read a story written for the character doll.� At the bottom of the LARGE PHOTO PAGES and STORY PAGES Menu Option columns the previous and next buttons will surf you through either the large doll photo pages or the story pages, depending on the site you are surfing from.